Purpose built student housing with a mixture of studio rooms/cluster rooms and town house rooms, associate spaces and staff office. 116 student flats in a conservation area. 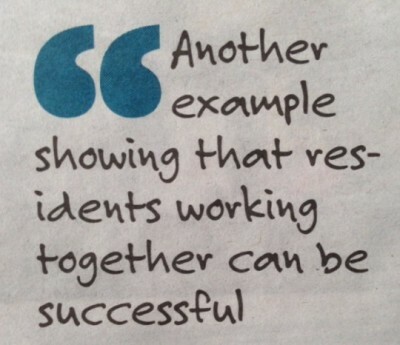 Or you can send your comments to: The Planning Inspectorate, Ms Jagoda Bartkowiak, Room 3/04, Temple Quay House, 2 The Square, Bristol, BS1 6PN. The Rossyln Hotel Development has gone to Appeal. Now this planning application and the Ocean Bowl 1st application. Falmouth Coachworks is also expected. Do you want to see the character of Falmouth changed forever? This development is surplus to the requirements of the local universities - the increase is student numbers and their accommodation is being plan-led, near to the Tremough Campus in Penryn. Thu 27 Apr 2017 - the application has been refused. Click here to view the refusal notice. location of new development in and around Falmouth. The 4th Smithick Ward Residents Meeting will be held on a Tuesday 12th September, 2017. 7:30pm Emmanuel Baptish Church, Western Terrace, Falmouth. (Rear Hall). 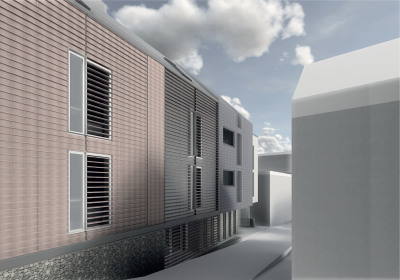 In the 2nd week of January some revised plans have been added to this planning application. These can be identified by noting the dates of the planning documents. Those who have already made a comment on the planning application will have receieved a letter of notification from the council. (See image and link). Check the revisions that have been made and add to your original comment, e.g. These revised plans do not change my opinion, I still object on the same grounds. Or you may add a note specific to any of the changes made. walls should all be considered. 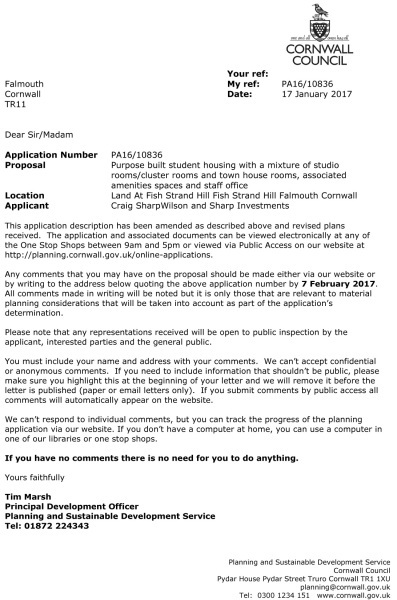 Monday 30th January, Falmouth Town Council Planning Meeting. The council considered the revised proposals and refused. Whilst the Council recognised the site as suitable for development it recommends refusal of the application due to overdevelopment and loss of view from the highway at Fish Strand Quay and design not in keeping with the Conservation Area. 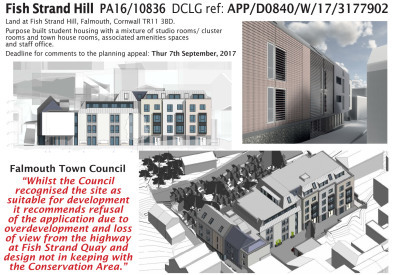 Monday 12th December, Falmouth Town Council Planning Meeting. Refuse due to overdevelopment and over massing and design and materials out of keeping with the Conservation area. 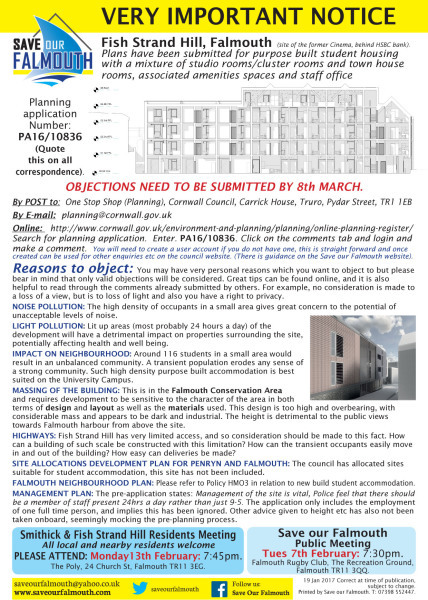 Falmouth Packet - Plans for student accommodation on former cinema site "generally acceptable"